Another 'U' arm style traditional Colonial chimney light in 5 arms to place in any setting where a statement MUST be made. Lots of light! 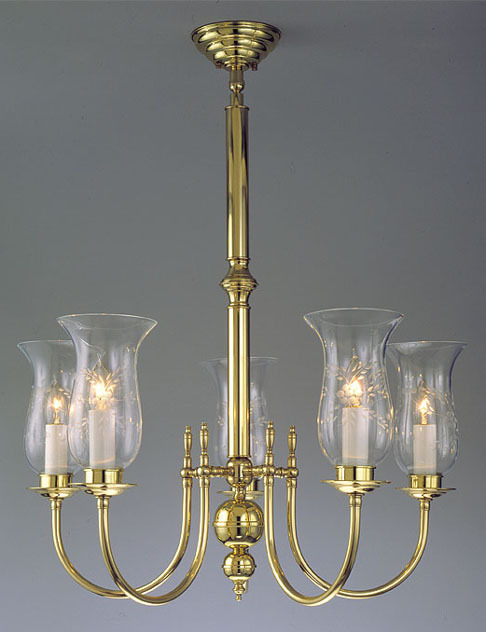 Great for your dining room or other formal settings. Shown in polished brass with any metal color available!